Their name was already buzzing around the music scene after releasing two EPs and a few singles, but now London based band Wolf Alice have released their first full album My Love Is Cool. Right after the release I saw the group play at the Best Kept Secret festival and was quite impressed with their music. After that I had more time to listen to the album properly. After giving it a few plays I even became quite addicted to it. I instantly liked the mix of electro pop, rock and grunge which sounds refreshing. The band fronted by singer Ellie Rowsell who originally started out as a folk band, have perfected their sound since their first EP and now it sounds well balanced. It enables them to bring in lots of variation, sometimes pushing towards electronic pop and going into a more rough rock direction at others. 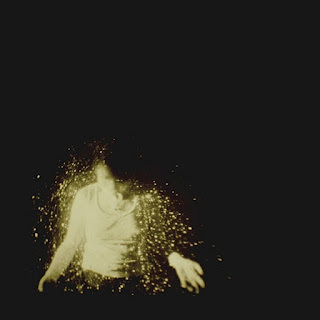 That way songs like 'Soapy Water' and 'Your Loves Whore' are quite different but nevertheless already carry the Wolf Alice mark. Rowsell also is able to adapt to both directions, singing with a clear voice on 'Silk' or screaming on top of her lungs on the rocker 'You're A Germ'. And then the tracks also have lots of hit potential which catchy hooks, creative grooves and breaks like on 'Bros' and 'Giant Peach'. The grungy elements that sometimes are subtle or quite obvious like on 'Fluffy' give the album the right amount of bite. The songs deal with the usual themes in a young person's life like relationship trouble, the search for true love and other uncertainties in life. However the music is where the real beauty lies and that you will appreciate more and more every time you listen to it. The best thing is, that Wolf Alice have created enough space around them to move in either direction or keep sitting where they are. In any case they are in a position where they can grow and let their music evolve in several ways. Live on stage you can hear it's still evolving and therefore it's worth to go check them out when they are in the neighbourhood. Especially since there's also plenty of potential to move up as well and the band may not be playing small stages any more within a few years. Listen to 'My Love Is Cool' on Spotify.